What you will conjure up immediately when hearing the term DJ? Maybe the first image in your mind is a pair of turntables and a mixer. But nowadays, with the developed digital technology, the powerful and more portable laptops, and the more popular streaming music industry, the computer DJ software is sweeping the world. 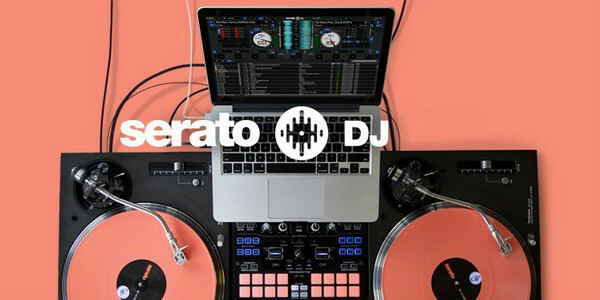 Among which Serato DJ is one of the best software which allows the users to mix and perform music. Before DJing, the music library is basically the collection of music imported into the Serato DJ software. The software is capable of quickly scanning and analyzing the music automatically from your local drive to determine the tracks’ tempos, the keys they're in, and other essential DJ information accurately. Nowadays, the idea of having access to steaming music catalogue within the DJ software is commonly discussed, for example, "can you use Apple Music on Serato and mix with the tracks" or "Can Apple Music be used with Serato DJ"…. 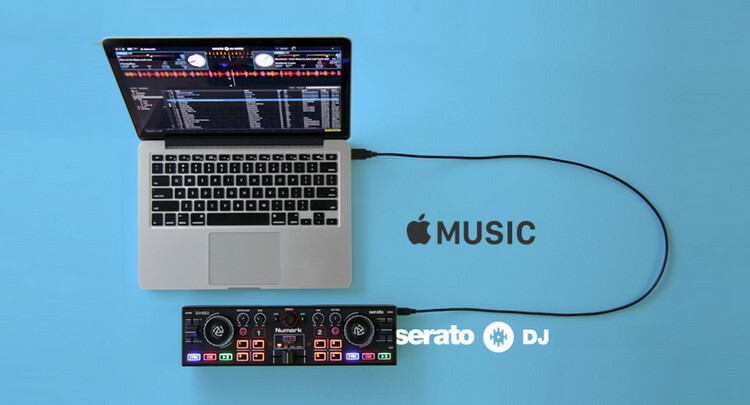 Many people might have spent a lot of time figuring out why they can not add Apple Music to Serato DJ. So this article is going to explain how to import your Apple Music songs or playlist into Serato DJ library for mixing and performing music. Why Using Apple Music Songs to Mix and Perform Music? How to Add Apple Music Songs to Serato DJ Software? Serato is rising from New Zealand, the flagship products are Serato DJ Pro and Serato DJ Lite. Serato DJ is always the best option for users who yearns for the old feel of vinyl with the conveniences of digital vinyl record mixing for DVS (Digital Vinyl System) records. The software is very easy to use and you will not go wrong in the system, and it is excellent in this land because of the beautiful interface, simple workflow, powerful features and stable performance. Serato is still the king of digital vinyl systems around the world, so if you are DJs who prefer the feel of vinyl, it is your go-to program. It is also an alternative of iTunes to help the users manage music library on computer drive. "Beyond music fans, streaming is also invaluable for DJs. The ability to preview tracks or albums in full, without committing to a purchase, is a powerful tool when digging around." Apple Music has more than 50 millions songs, sometimes with big exclusives. Users can discover the original artists and its albums, or search for music with different genre or mood. The ability to access Apple Music massive music catalogue means improving the library size, and time-saving to find source music. Regarding audio quality, Apple Music runs at 256kbps and sounds slightly lower than Spotify's 320kbps, but Apple uses a better encoding scheme, AAC, than Spotify's Ogg Vorbis. And the streamed songs on Apple Music sound clean, snappy and detailed. You may have discovered that the purchased albums and tracks from iTunes store can be added and recognized by your Serato DJ, but you tried the songs from Apple Music without any luck, even though you have paid for the monthly subscription. Why this difference happens? Because Serato DJ doesn't support Apple Music right now, and the Apple Music songs is encrypted in AAC format, it can't be transferred and used on non-Apple devices, let alone import it to other third party software. If you want to add Apple Music songs to Serato DJ, beyond purchasing the song from iTunes store, another workable way is to convert the Apple Music songs to unprotected MP3, AAC or WAV that works with Serato DJ. 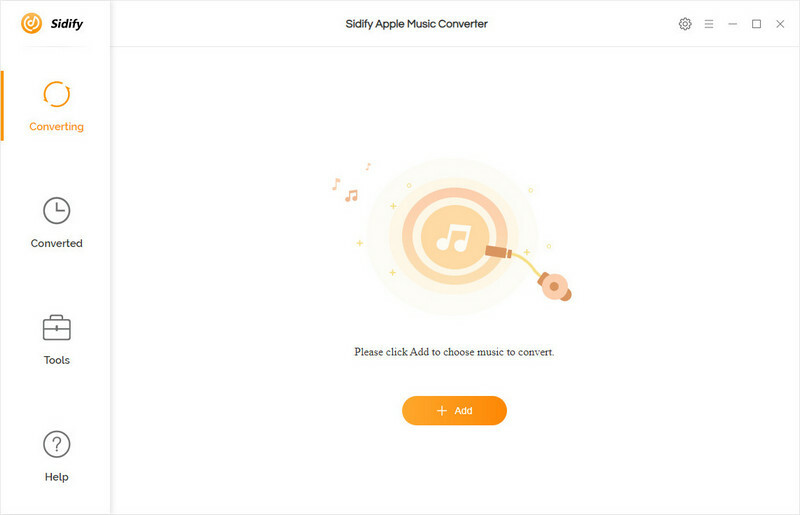 Here you can use Sidify Apple Music Converter to convert Apple Music songs to MP3, AAC or WAV formats that is compatible with Serato DJ software. With the specially designed recording technology, you can easily remove the DRM encryption from Apple Music songs and convert it to MP3, AAC, WAV or FLAC audio formats with 100% original sound quality kept. 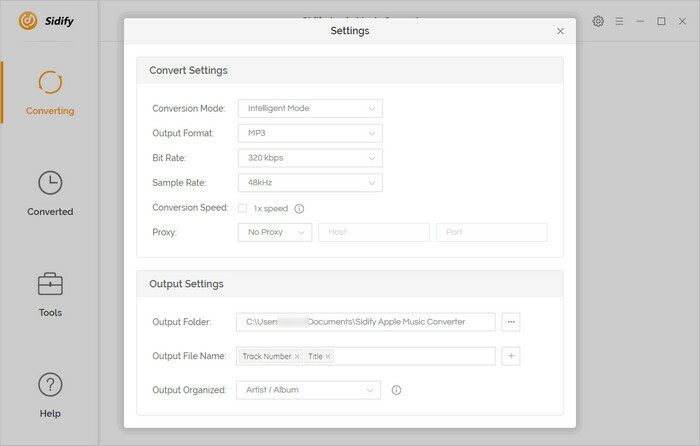 Let's look at the tutorial on how to convert Apple Music songs to MP3, AAC or WAV formats that works for Serato DJ with Sidify Apple Music Converter, and import the converted Apple Music songs to Serato DJ software with ease. Here we will take Windows version as an example to explain how to make it work step by step, and you can operate it in the same way with Mac version. Before starting, please make sure that iTunes has been installed on computer. Your Apple Music subscription is still in the validity period, and the songs, albums or playlists you want to convert are already downloaded to computer local drive. 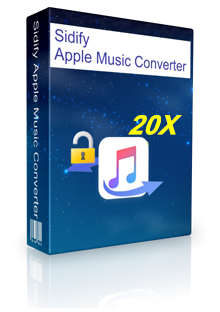 Download and install Sidify Apple Music Converter on PC, then launch this application. Click on button at the upper-left corner of Sidify main interface, then a smaller prompt will be shown to list your iTunes library, including Apple Music songs, iTunes M4P music and iTunes, Audible audiobooks. You can select the songs you want to convert from the list and click "OK" to check the songs you added. Click button at the upper-right corner of UI, if prompted, then you can choose the output format as P3, AAC, WAV or FLAC, and choose the output quality as High 320kbps to keep the best audio quality. And you can choose the output path as required. Tips: For better organizing the music library after conversion, you can choose to save the converted Apple Music songs to organized folder like Artist, Album, Artist/Album, or Album/Artist. Now you can click on CONVERT button to start converting Apple Music songs. 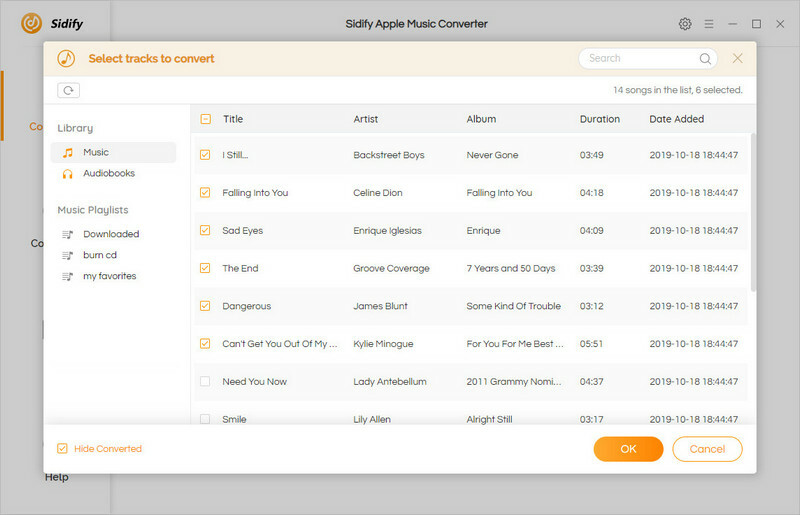 Sidify Apple Music Converter will convert songs at faster speed. After the conversion completed, you can click icon to find the well converted Apple Music songs. Since the converted Apple Music songs were already saved to your computer's local drive, now you can launch Serato DJ software and start importing the songs. Step 1: Click on Files and find the location where you saved the converted Apple Music songs. 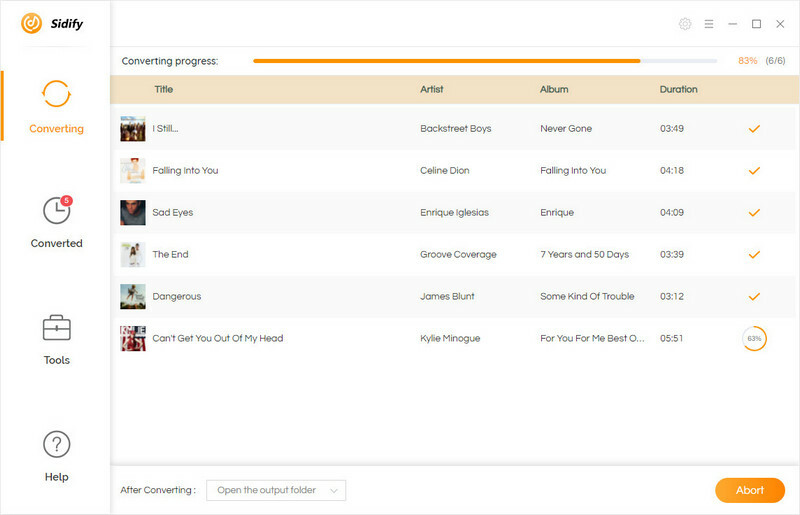 Step 2: Drag & Drops songs to the upper-left corner. Step 3: Then the song information like title, artist, album, and etc will displayed, and you can press the space to play the song. Here is the ultimate tutorial on how to use Apple Music songs as source music of Serato DJ. Let's start mixing or performing music by using method above immediately!